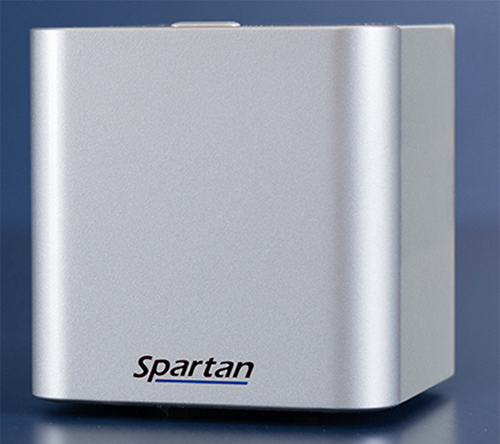 The Spartan Cube is the world’s smallest commercial molecular diagnostics device and enables unprecedented portability and convenience. It’s exceptionally small—occupying roughly the same amount of space as a coffee cup. At only four inches cubed in size, the Cube is portable and requires little space. The Spartan Cube is a PCR-based platform for a variety of molecular diagnostic application including infectious disease, pharmacogenetics, and food and water testing. In addition, the Cube goes from sample to result in 30 minutes, a fraction of the time compared to traditional lab-based testing. A simple, clean design allows users to be up and running in seconds. Visual instructions are displayed on screen, so a step is never forgotten. Connect wirelessly with a tablet or laptop for greater portability.